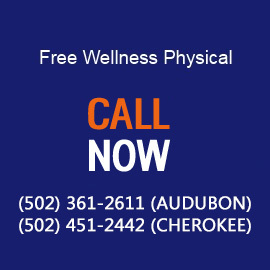 Why Choose Audubon Animal Medical Center as your veterinarian in Louisville? Dedicated to both excellence in pet care and customer service, our unique blend of experience, knowledge and passion ensures that every client who enters our doors is treated with sensitivity and respect. Since opening our doors almost 60 years ago, our family-owned and operated group of veterinary clinics has served more than 60,000 members of the Louisville pet-loving community. Our client loyalty is among the top in Louisville, and we have cared for our clients and their pets through three generations. If you’re looking for quality, compassionate pet care, you have found the perfect veterinarian in Louisville, KY to provide long-lasting care to your furry and feathered friends (and a few scaly ones.) Full Selection of Veterinary Services in the Louisville-area. Emergency and Preventative Care for all dogs and cats including new puppies and kittens and geriatrics. We also provide limited services for ‘pocket pets’ and birds. Call us for an appointment. Expansive Indoor/Outdoor boarding facilities for dogs, cats and other lovable critters, with special pet suites and atrium rooms. Call or stop by for a tour of our atrium, complete with waterfall. Bathing and full-service grooming for dogs and cats. Call us for more information. 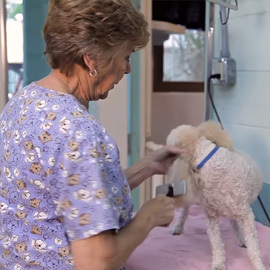 Education and Preventative Healthcare Training – so you can be well-informed and knowledgeable about your pets’ care. Compassionate Care for you and your pet. Your pet is special to you, and at Audubon Animal Medical Center we understand the delight, joy and affection that bonds animal and owner. Whether caring for your first puppy or kitten, or providing geriatric care to a long-time friend, we make sure you are well-informed when your pet is under our care. Our doctors will assist you in making decisions concerning your pet through-out his or her lifetime. Convenient veterinary locations in Louisville with easy access from all directions. 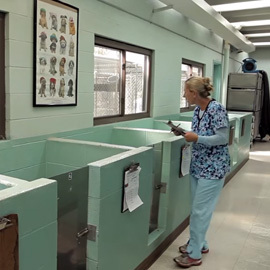 Centrally located near downtown Louisville, our Audubon Animal Hospital, Pet Rruff Inn Boarding Suites and Cherokee Animal Clinic are just minutes from every major Interstate: I-65, I-64, Watterson X-way, Gene Snyder X-way and I-71. Audubon Animal Hospital and Pet Rruff Inn are located near Louisville International Airport and Kentucky Fair and Expo Center. 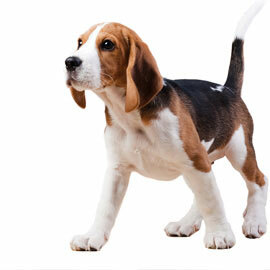 Cherokee Animal Clinic, is centrally located at the intersection of Eastern Pkwy and Newburg Rd. near Cherokee Park.